What is a Nevada Living Will? Nevada Living Will: What Is It? A Nevada living will is more commonly known as a durable power of attorney. 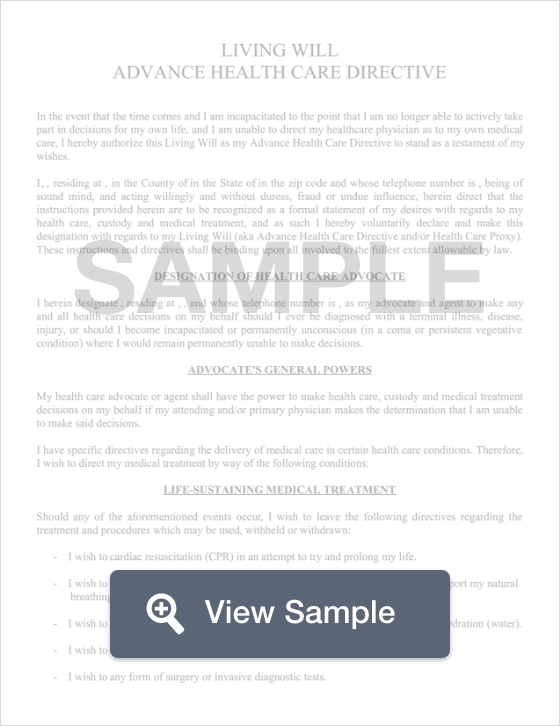 This legal document expresses your wishes related to medical care if you are unable to do so for any reason. A Nevada living will is also used to name someone to make decisions on your behalf that are related to your medical care. This person is known in a Nevada living will as an agent. A Nevada living will must either have witnesses or it must be notarized. There are specific laws in Nevada that determine who may and may not sign a living will as a witness. § 449.535 through § 449.690: A Nevada living will is used to document a person’s wishes related to whether they want their physician to withhold or withdraw life-sustaining treatment if they are incapacitated. Declarants have the legal right to revoke the living will, and their revocation should be recorded in their medical record. A Nevada last will and testament should also be created.